Amazon is offering 25% off or more on Footwear. 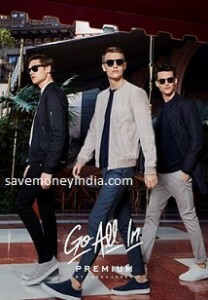 Top brands upto 70% off. 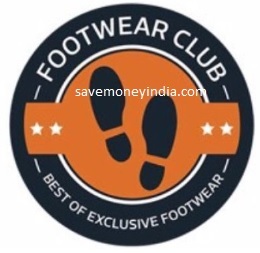 Amazon is offering 50% off or more on Bata Footwear. 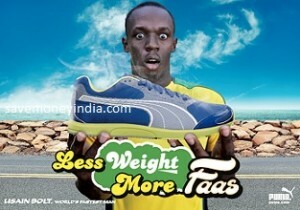 Amazon is offering 50% off or more on Puma Footwear. Amazon is offering 50% off or more on Red Chief Men’s Footwear. 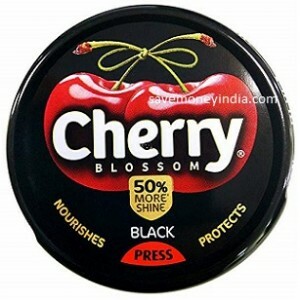 Features Suitable for leather shoes, Keeps shoes looking new for longer & Protection from Dirt and dust. 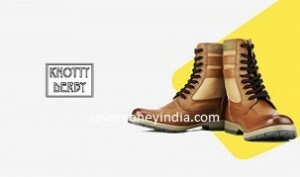 Amazon is offering 95% off on Bruno Manetti Women’s Footwear. 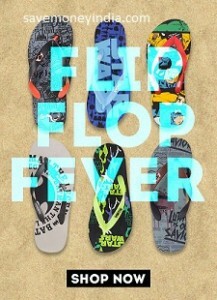 Amazon is offering 50% off or more on Flip Flops. Adidas, Puma, Catwalk & more 30-70% off. Amazon is offering 25% off or more on Schoolmate Kids Shoes. PayTmMall is offering Rs. 50 Cashback on Czar Women’s Slippers. Amazon is offering 50% off or more on Amazon Exclusive Men’s Footwear. 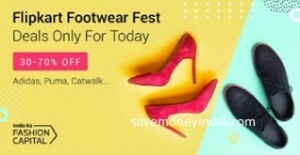 FlipKart is offering minimum 50% off on Footwear. 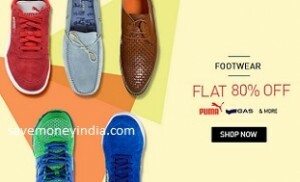 FlipKart is offering minimum 50% off on Men’s Exclusive Footwear. 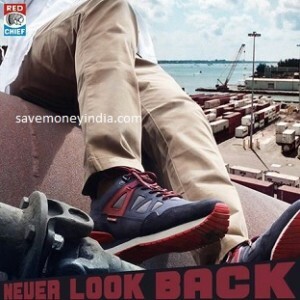 • HDFC Bank Debit & Credit Cards – 10% off upto Rs. 200: An instant discount will be awarded at the time of making the payment. Payment Options > Credit / Debit / ATM Card > Enter HDFC Card Number. May not be applicable on few products. • SBI Debit & Credit Cards – 10% off upto Rs. 200: An instant discount will be awarded at the time of making the payment. Payment Options > Credit / Debit / ATM Card > Enter SBI Card Number. May not be applicable on few products. Amazon is offering 70% off or more on Footwear. 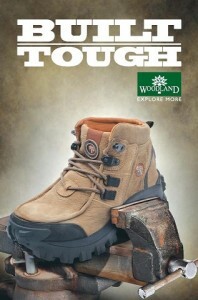 Amazon is offering 50% or more on Woodland Men’s Footwear. Amazon is offering 50% off or more on United Colors of Benetton Footwear. Amazon is offering 50% off or more on Jack & Jones Men’s Footwear. Amazon is offering 50% off or more on Knotty Derby Footwear.